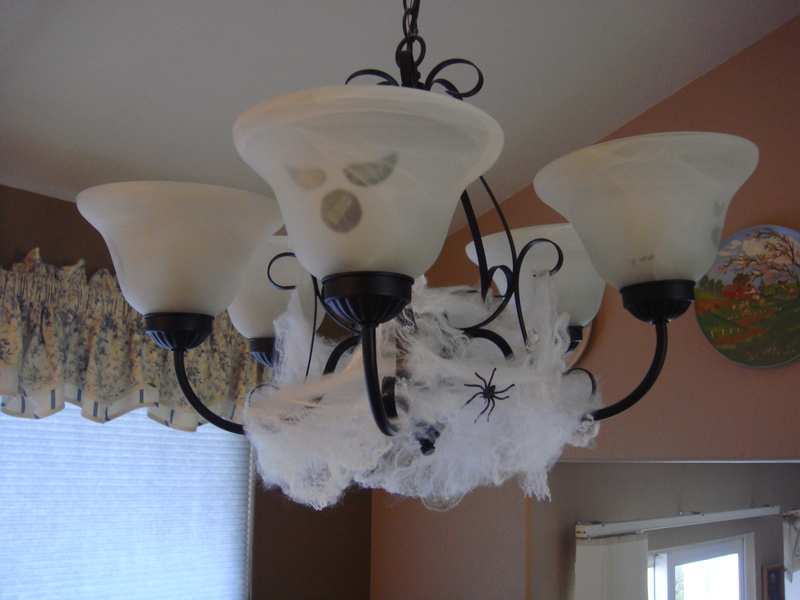 and of course a clean light fixture. Cut out as many faces as you need. I had five different sections to my light fixture. 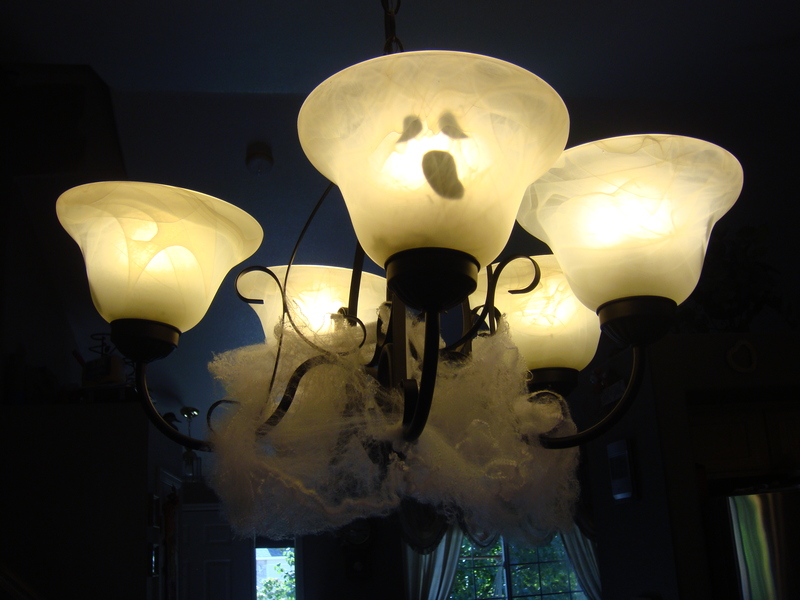 Tape them into the inside of the light (you can always tape to the outside too. My dad said that the paper would not catch on fire, so mine are on the inside. 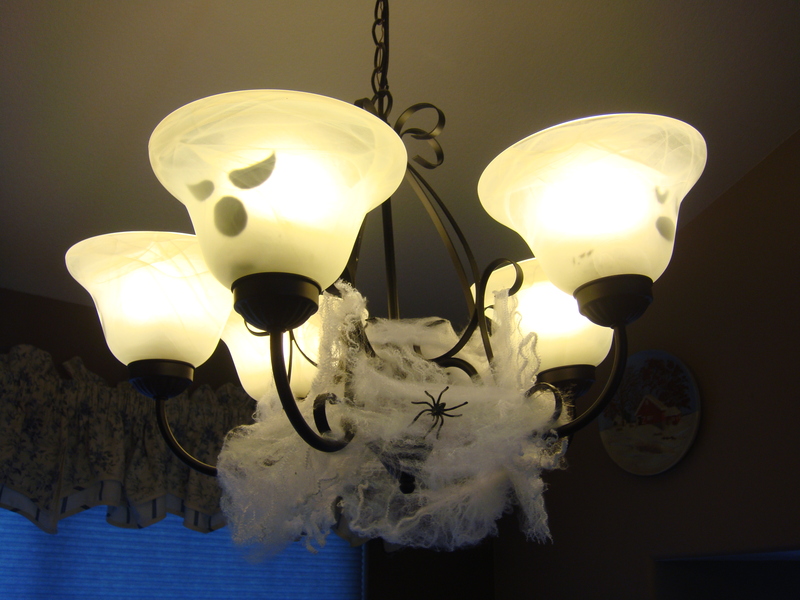 Then decorate as you see fit. 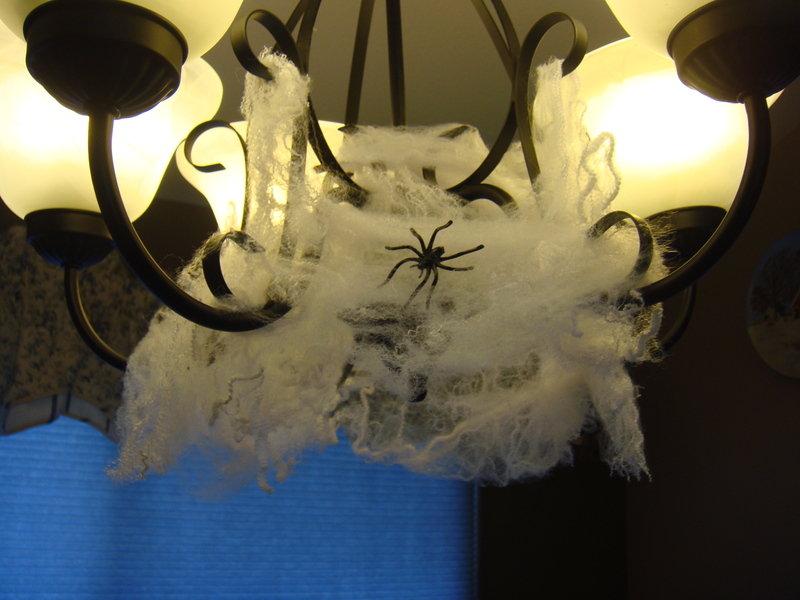 I used some fake spider webs and called it good. This super easy project just adds a bit of fun to the space, and is so simple.